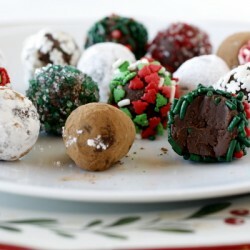 Are you guys tired of seeing recipe for truffles yet? 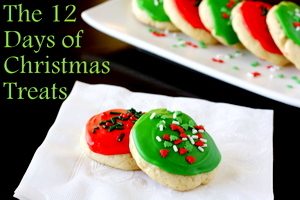 Trust me when I tell you that these are too easy and too good not to include in the 12 Days of Christmas Treats! I’m serious when I say they’re easy – there are only 3 ingredients (not including the sprinkles, etc for coating the outside)! The end result is creamy, fudgy, minty and all around delicious. As you can see I was having a hard time being consistent and I used all kinds of things to coat the truffles. The adult taste testers seemed to favor the powdered sugar coated ones, and the kids liked the ones with sprinkles (of course). I liked them all! 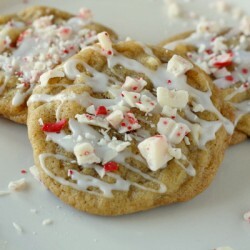 If you need an easy Christmas treat as the days get busier, give these a try – I’m sure they’ll be a hit! Melt chips with whipping cream and butter in a medium saucepan over low heat, stirring occasionally. Pour into a bowl and refrigerate until mixture is fudgy, but soft - about 2 hours. Shape about 1 Tbsp of mixture into a 1 1/4 inch ball. Roll in chocolate sprinkles to coat and set on waxed paper. Repeat with remaining mixture. Store in the refrigerator or freeze for longer storage. 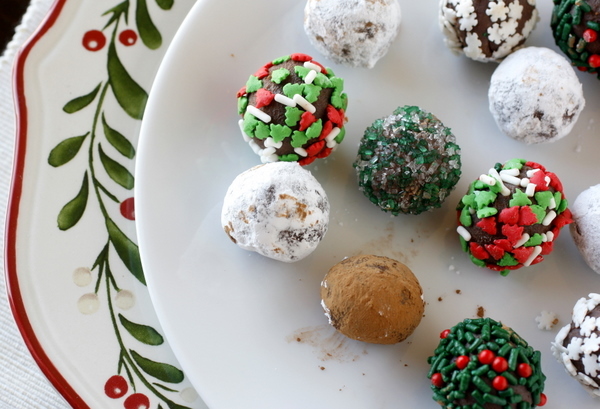 *Note: As you see in my pictures, the truffles could also be coated with powdered sugar, cocoa powder, chopped nuts, sprinkles, or cookie crumbs. These little beauties sound delightful! One never gets tired of seeing chocolaty treats, especially ones as pretty as those. Just printed this recipe. 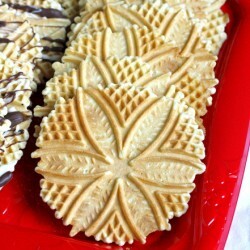 It would be great for a holiday party I am having next week! I love these. Looks so good and so easy! I made these. I highly recommend not using any butter. You don’t need it. Causes the chocolate to roll slimy. The recipe hardens in the refrigerator. 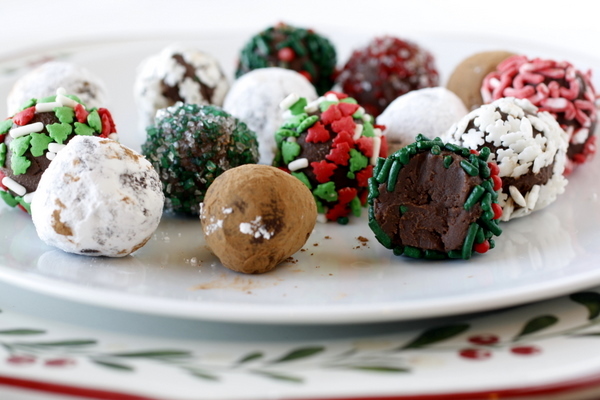 not easy to roll into balls without making a mess and without likely losing at least one cookie (chocolate gets everywhere). No, I only had the one set of ingredients which in the end gave me 11. It softens real quick when rolling out because of the butter (also hardens real quick because of the butter) so that is a detail you might include in the prep details. there must be a glove to wear or something.